Thrilling is my experience when projects begins construction or installation. Thrilling is always my experience when one of my projects begins construction or installation. It marks the culmination of exploring a multitude of options, making many decisions, and aligning all the moving targets of a project. This kitchen renovation is no exception. The smallest kitchen I have ever worked on is coming to completion. While it’s amazing to see all my projects come together, this one is especially gratifying. 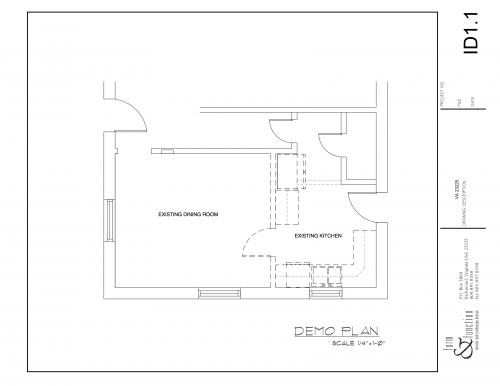 Demo plan, for the record. The wall between dining room and kitchen is removed. 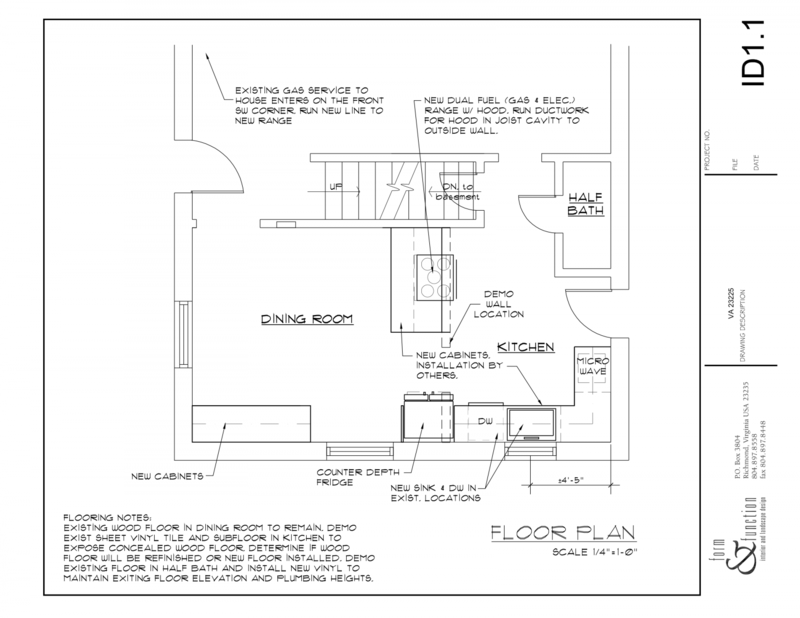 Creating a new layout for this particular project was unusually challenging because of the lack of space. 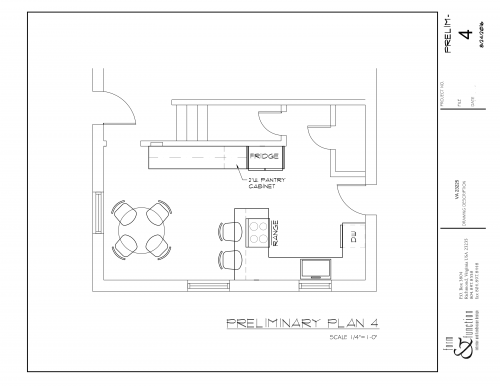 In fact, I think it was one of the most challenging floor plans I’ve ever created. But small is big these days, and challenges sometimes produce the most creative solutions! The main goal of this kitchen renovation was to improve the workflow of the tiny kitchen and add more cabinets and storage. 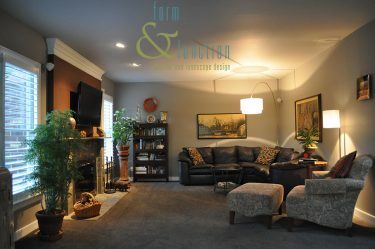 Because the space was so small, removing the wall between the existing kitchen and dining room seemed the obvious solution. Formal dining rooms are rarely used, and the separation of the spaces frequently impinges on a creating a functional kitchen layout. Openness and an integrated feeling were also a priority for this project. Because of the space challenges, I explored several plan alternatives to maximize every square inch of space, both horizontally and vertically. I’ll explain the reasoning for each. Plan 1 – an L-shaped layout. The work triangle is a little challenged, but the space is significantly improved. Counter height table is flexible for using all the chairs in the space in various configurations. 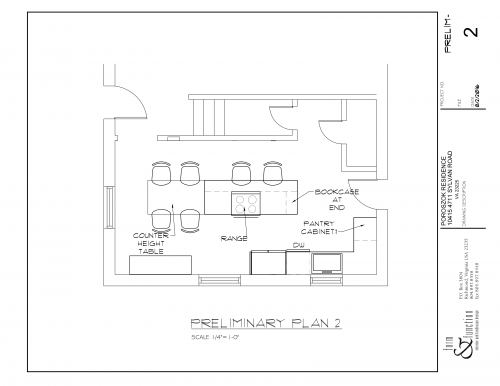 PLAN 2 – creates more useable work space and a somewhat better work triangle. The island can do double duty as continuous counter space. More seating is a plus. 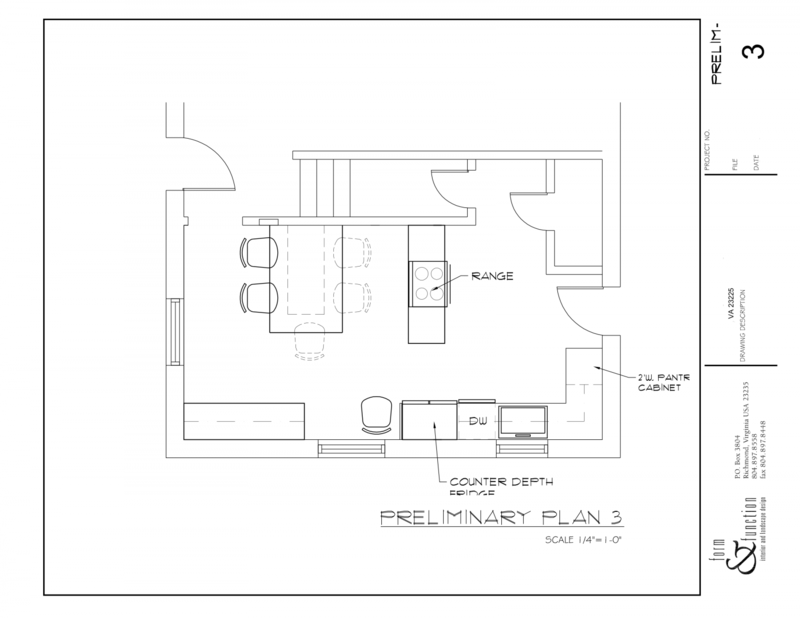 PLAN 4 – more options with the perimeter wall used for additional cabinetry and a pantry. 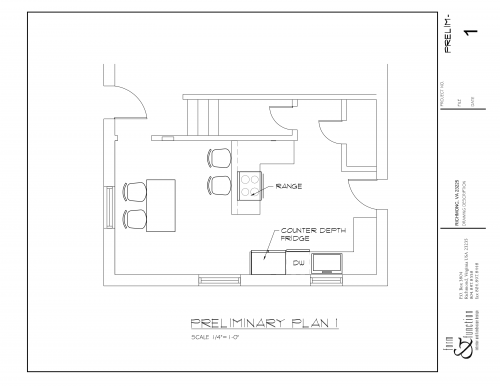 PLAN 3 – island was the big change with cabinet storage below and flexible seating arrangements. FINAL PLAN – clusters the work flow in the basic original configuration although expanded to improve functionality. To solve storage challenges, a separate line of cabinets with glass doors are added as a feature along the perimeter wall. 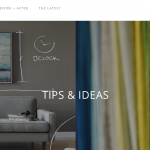 DESIGN – From idea to reality!